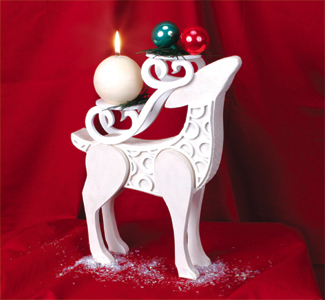 Show off this elegant white reindeer in your home this holiday season. Add colorful candles or festive bulbs on the two display areas. Its simple to make on your scroll saw using our full-size pattern. (12 1/2" tall).